The solar plexus is located in the area between the sternum (breastbone) and the navel. 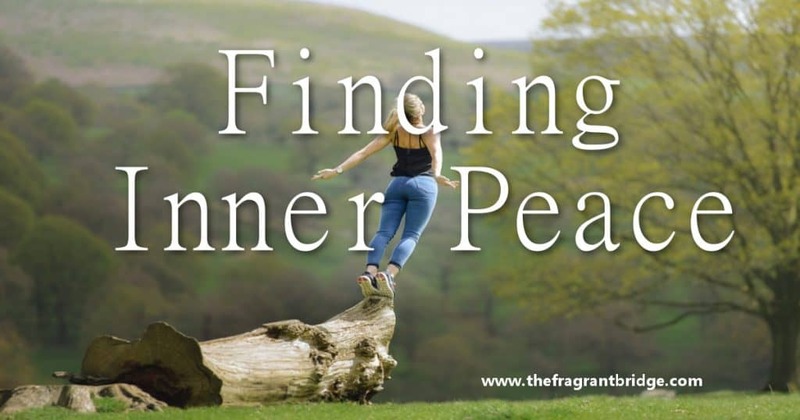 It is the centre of your personal power and will where issues concerning willpower, vitality, self-identity, personal power, self-love, desire, healthy self-esteem, self-responsibility, self-control, creativity, standing up for your personal values, doing what’s right for you and freedom of choice reside. 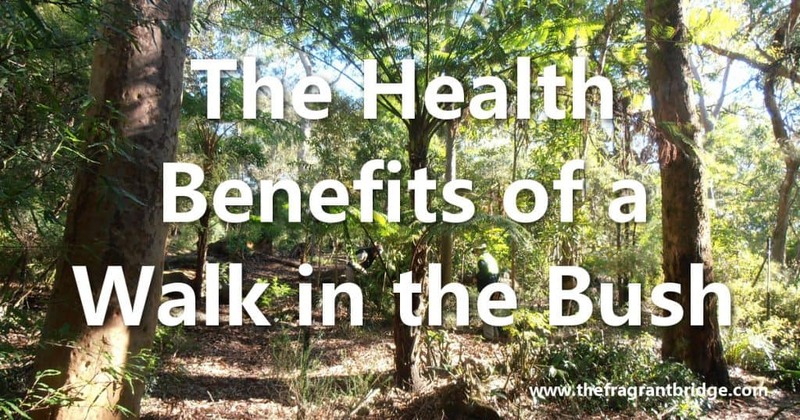 It’s the area responsible for the digestion and absorption of food, life and ideas. When out of balance you may give up your power or hand it over to someone else because you lack confidence in yourself and your decisions. You may ignore your emotional and creative side in favour of overthinking and over analysing. You may also blame others for all that happens in your life. When do you feel powerful or powerless? When do you give your power away? To whom and why? Do you overanalyse problems and decisions until you are exhausted? Are you able to overcome any obstacles that arise in your life? What are you most proud of yourself for accomplishing? 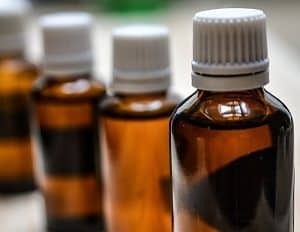 Because there is often a connection between the solar plexus and the digestive system, oils that aid the digestion on both a physical and emotional level can be useful. 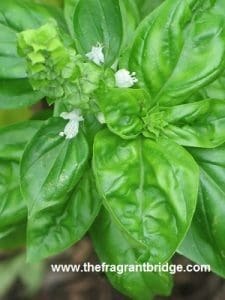 Basil (Ocimum basilicum) is helpful if your feelings of despondency and dejection lead you to seek constant reassurance and emotional support. She is also useful where there are issues with control and can help you express yourself through creativity. 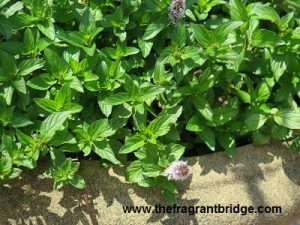 Bergamot (Citrus bergamia) encourages the release of pent-up feelings including unexpressed anger and frustration that can lead to sudden mood swings and depression. 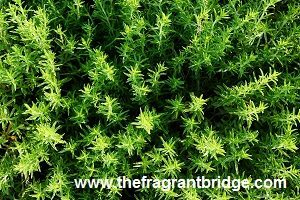 Black pepper (Piper nigrum) releases feelings and energetic blockages associated with anger and frustration and restores a sense of direction and determination. 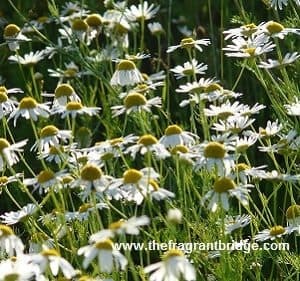 Chamomile German (Matricaria recutita) allows you to let go of old ideas, beliefs and the need to control every aspect of your life. 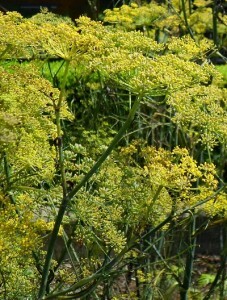 Fennel Sweet (Foeniculum vulgare dulce) reduces the tendency to over think and overanalyze and can help get to the root cause of eating disorders due to feelings of being unloved, insecurity, self-rejection or needing approval. 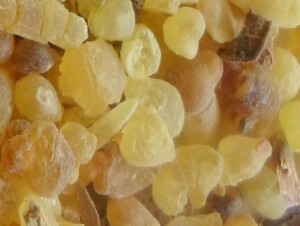 Frankincense (Boswellia carteri) helps you take responsibility for your actions and their consequences. She also calms, centres and stills your mind when there is worry and ceaseless negative mental chatter. 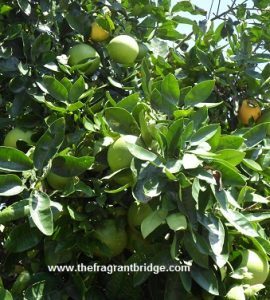 Grapefruit (Citrus x paradisi) eases feelings of tension, frustration, irritability, self-doubt, depression and perfectionism. She promotes a lightness of Spirit. 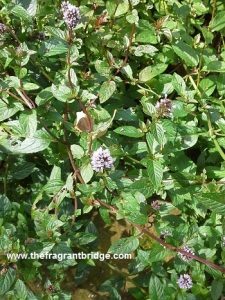 Marjoram Sweet (Marjorama hortensis) calms obsessive thinking and anxiety and helps to ease feelings of being lonely, unsupported, denied warmth and affection. 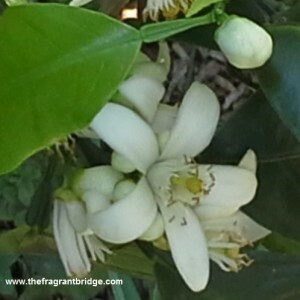 Neroli (Citrus aurantium) helps to release suppressed emotions especially those of anger, resentment and despair. She helps you to choose differently allowing you to accept and trust yourself. 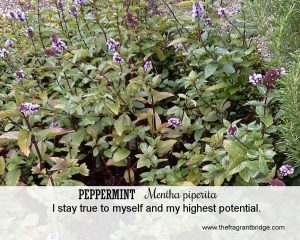 Peppermint (Mentha piperita) helps you connect with your purpose in life, digesting new ideas and impressions while staying true to yourself. 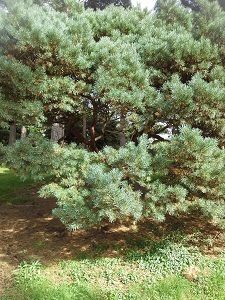 Pine (Pinus sylvestris) encourages you to believe in your self-worth and set boundaries especially if you feel a need to take responsibility and blame for the actions of others. 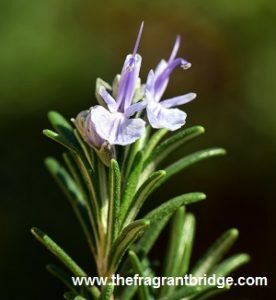 Rosemary (Rosmarinus officinalis) renews enthusiasm and improves self-confidence helping you to remember your own true path. 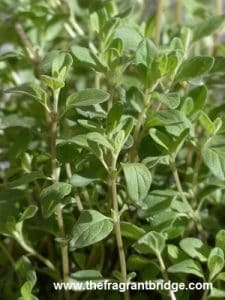 Thyme (Thymus vulgaris – ct linalool) dispels despondency and negativity, giving you the self-confidence and belief to overcome negative patterns, habits and obstacles to your feeling fulfilled and worthy. 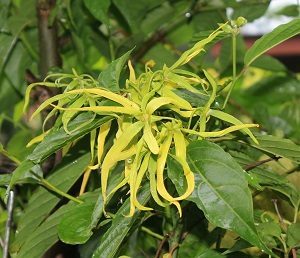 Ylang Ylang (Cananga odorata var. 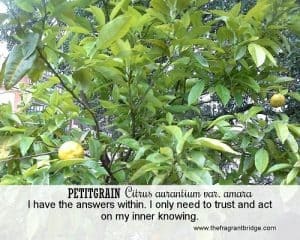 genuina) clears anger and frustration due to fear and anxiety. She helps to reunite your emotional and sensual nature allowing you to express and experience both pleasure and joy. Either sit or lie down. Take a couple of deep even breaths. 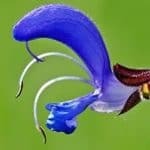 Anoint the area between the sternum (breastbone) and the navel with a few drops of the blend in a clockwise direction with your fingertips. 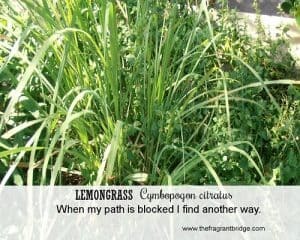 Use your intention to open, balance, heal and then close the chakra. 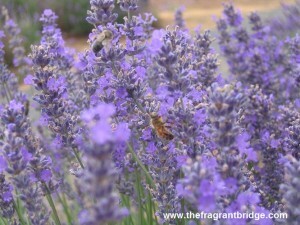 Continue your slow deep breathing allowing the oils to do their work and when you feel ready open your eyes. Choose one or two to work with. 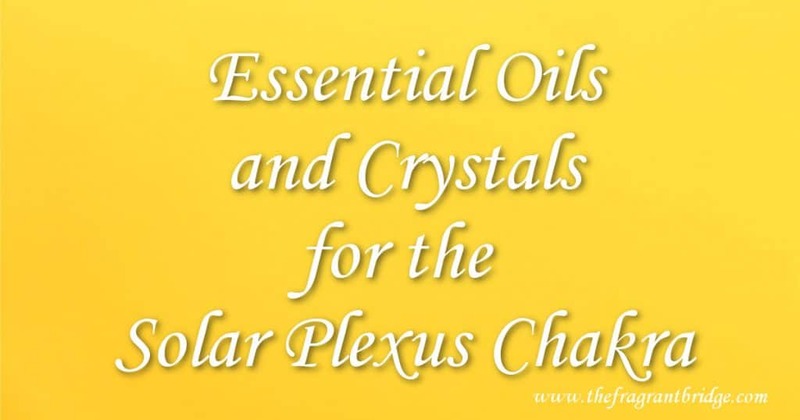 These may be used directly on the solar plexus chakra, carried in the pocket, worn as jewellery or used as an essence or spray. 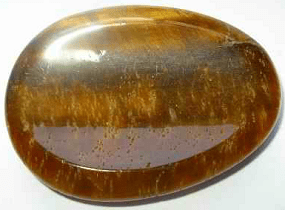 Amber puts you in touch with your own inner strength and security helping you to set boundaries. Amber stimulates your metabolism and physical energy. 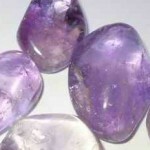 Amethyst relieves physical, mental and psychological pain, dispels anger, fear and anxiety. 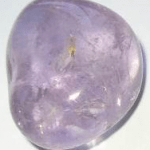 Ametrine helps you overcome self-sabotage and procrastination and assists in developing a sense of your personal power and potential. Citrine helps you overcome feelings of not deserving abundance in your life and for letting go of things that don’t serve you anymore. 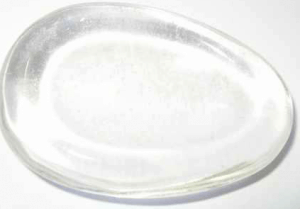 Clear Quartz can be used to clear and balance all the chakras. Emerald can assist in overcoming feelings of unworthiness and abandonment by clearing your emotional body of victimization patterns and the rejection of your own personal power. Golden apatite can help you overcome a fear of success, self-imposed limitations, self-sabotage, increase your self-confidence and sense of worth. Golden labradorite embodies inner strength, courage, endurance, clear thinking, self-confidence and the right use of power. Honey calcite enhances self-confidence, courage, self-responsibility and the right use of power. She overcomes the fear of taking action and procrastination. Moss agate helps when you are feeling ungrounded and gives you the persistence and endurance to complete your goals. 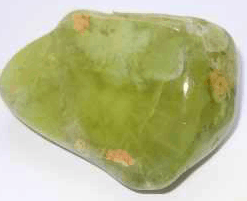 Prehnite stabilises your energy flow helping you to feel less anxious, restlessness and drained. Peridot helps to clear blockages to receiving on all levels. 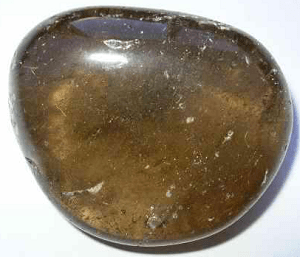 Smokey quartz is a very powerful clearing and grounding stone and can provide protection from the negative energies in your environment. 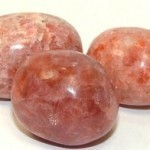 Sunstone is a stone of personal power and freedom helping to clear the fears, self-doubt and unworthiness that may be holding you back from being your true self. Tiger’s eye supports physical vitality and energy. 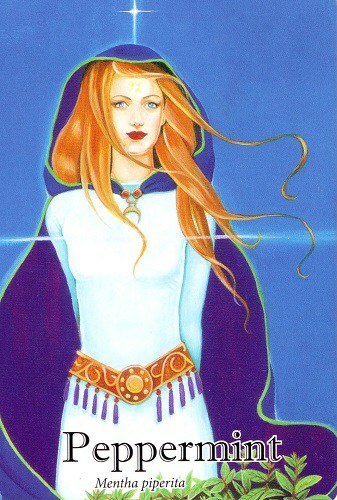 She heals issues surrounding self-worth, self-criticism, blocked creativity and internal conflict. 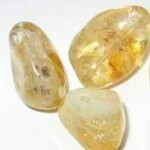 Golden topaz is helpful if you have difficulty maintaining and honouring boundaries – yours and others. 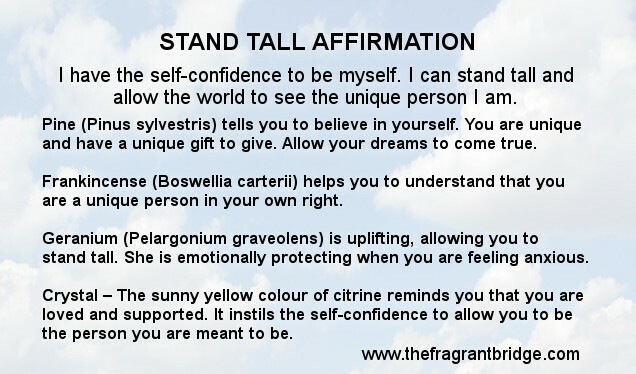 Stand Tall Aromatic Affirmation: I have the self-confidence to be myself. I can stand tall and allow the world to see the unique person I am. 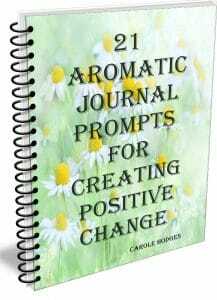 This entry was posted in Essential Oils and tagged crystals, essential oils, solar plexus chakra on March 13, 2019 by Carole Hodges. 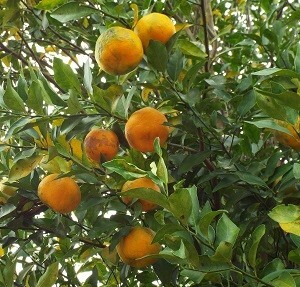 Synonyms: Syzygium aromaticum, E. aromatica, Caryophyllus aromaticus. 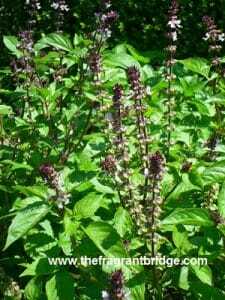 Aroma: Spicy, warm, woody and pungent. 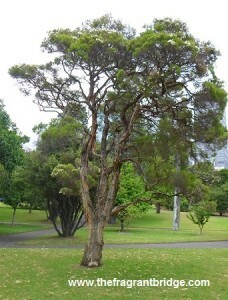 Plant: Pyramidal evergreen tree with a smooth grey trunk which grows up to 15 metres. 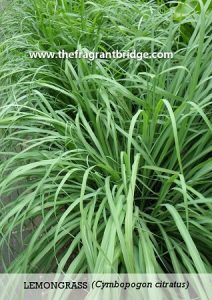 The bright green leaves stand in pairs on short stalks. At the beginning of the wet season buds appear with a rosy pink corolla at the tip. As the corolla fades the calyx turns deep red and these are picked or beaten from the tree and dried in the sun for several days. Main Growing Areas: Molucca islands, Brazil, the West Indies, Mauritius, Madagascar, Sri Lanka, Zanzibar, Pemba. Interesting snippets: Quack comes from the clove filled leather beaks the European doctors wore and breathed through to ward off the plague. 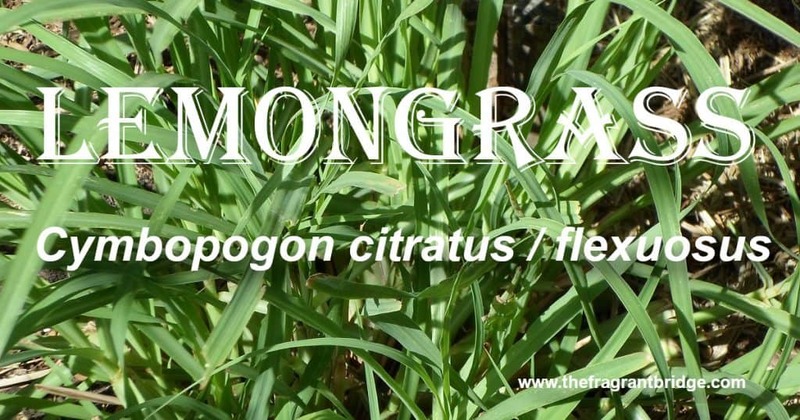 The Greeks, Romans and Chinese traditionally used clove to sweeten the breath and ease toothache. During the Renaissance, pomanders were made with cloves to keep epidemics and the plague at bay. Dentists used to dab clove oil over a tooth before filling it to decrease sensitivity. The first recorded use of cloves was in China in the Han Dynasty (220-206BC) where it was used as a breath sweetener. Part of Plant used / Extraction: Steam distillation of the crushed unopened dried flower buds. 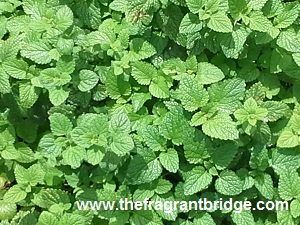 Therapeutic actions: Toothache, diarrhoea, flatulence, insect repellent, colds and flu, restore appetite, stimulate digestion, rheumatic aches and pains, sprains and strains. Emotional and Spiritual: Depression, self-confidence, reawakens passion and instils a capacity for creative vision. 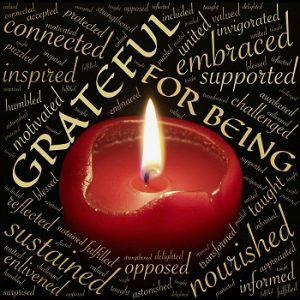 Robbi Zeck writes that when you hang on to things for longer than you need them congestion will occur. 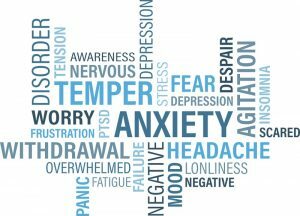 Accumulation affects you physically, mentally, emotionally and spiritually. Clear out your clutter and create the space for different opportunities and experiences to enter your life. Find pleasure in the simple things in life. 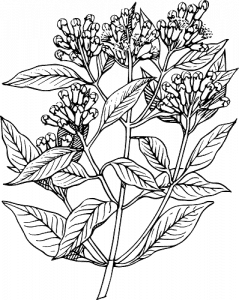 Gabriel Mojay writes that clove essential oil is indicated in particular for those who feel isolated and unsupported. 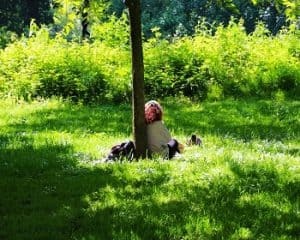 Riddled with feelings of inadequacy and self-doubt, such individuals identify their lack of interest in life with an insufficient degree of meaningful interaction and warmth. They find it difficult to extend themselves emotionally due to their poor self-image and their emotional detachment. 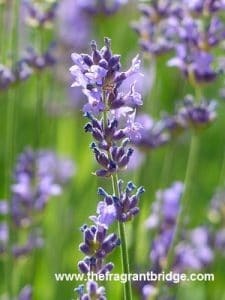 Clove essential oil not only helps to restore emotional vitality but also comforts and allays the feeling of loneliness that itself can exacerbate one’s distance from others. Valerie Ann Worwood states that clove has no time for contemplation only for action. 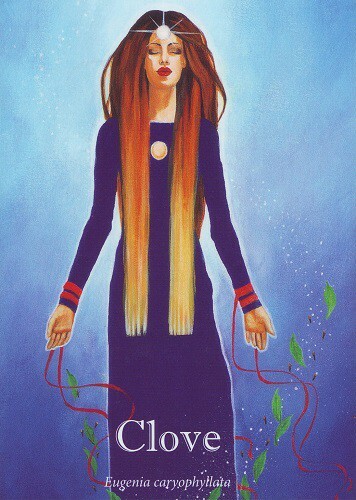 Her message is to move forward, make things happen, achieve as much as your spirit can without harming another. 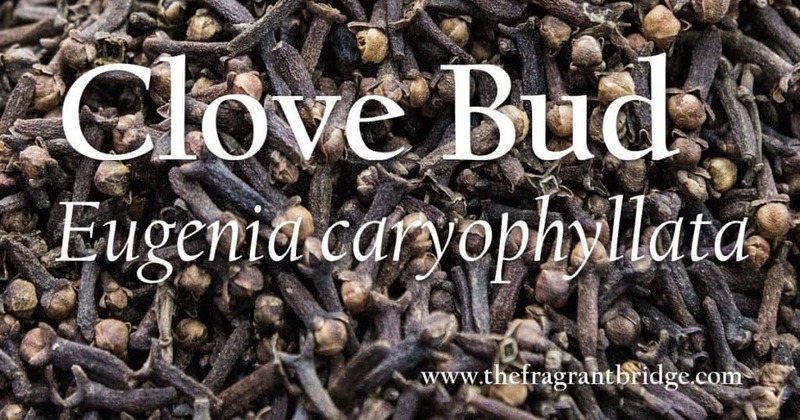 Deborah Eidson thinks that clove bud helps you reflect upon the root cause of pain, recognize how it once served you, and realize it is no longer needed. 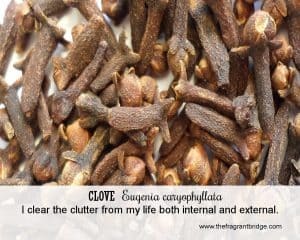 Clove also helps in examining and overcoming the root causes of fear and anger so you may experience greater joy and spontaneity. Clove assists in releasing attachments, empowering you to move forward, exploring new possibilities and experiences. 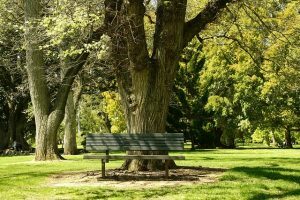 Go with the ever-changing environment and do not allow yourself to get too attached to one style or system. Explore new possibilities, be a living example and inspiration to others. To make effective change in the world, first change yourself and the rest will follow. 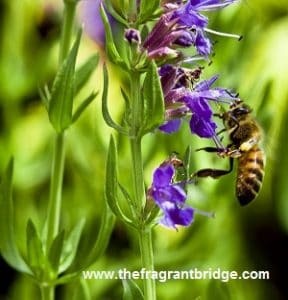 Fragrant Change Healing Cards: I clear the clutter from my life both internal and external. 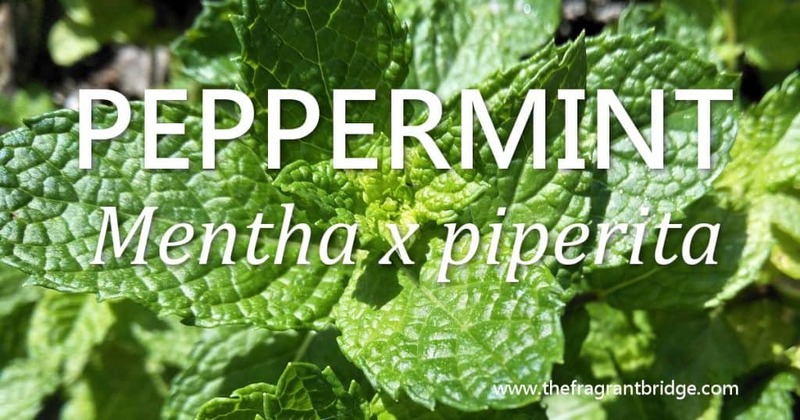 Safety: Can cause skin irritation so keep below 0.5% dilution in blend. Don’t use with children under 2 years of age. 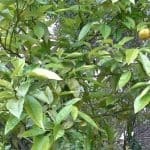 Note: Clove bud oil maybe adulterated with clove stem or leaf oil, or clove terpenes remaining after eugenol extraction. 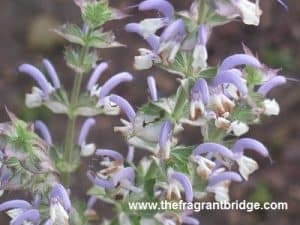 This entry was posted in Essential Oils and tagged clove, colds and flu, deptrssion, digestion, self confidence, toothache on December 7, 2018 by Carole Hodges. 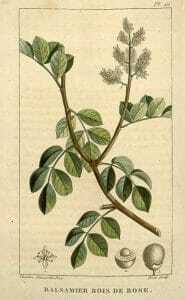 Synonyms: Also called West Indian Sandalwood and less commonly West Indian Rosewood. Amyris is neither a true sandalwood nor a rosewood as both these oils belong to different botanical families. Aroma: Musty, balsamic, faintly woody scent. 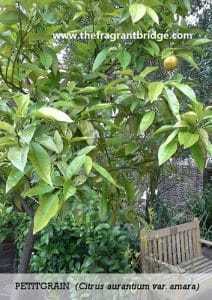 Plant: A small bushy tree, 3 to 6 metres in height, with compound leaves and white flowers that produce edible black-bluish fruit. It grows wild in thickets all over Haiti. Main Growing Areas: Haiti, Jamaica, South and Central America. 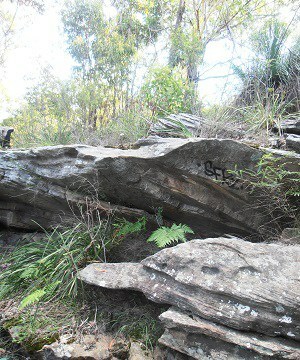 Interesting snippets: The oil is known to remain in timber for many years. The locals call it ‘candle wood’ because of its high oil content; it burns like a candle and is used as a torch by fishermen and traders. 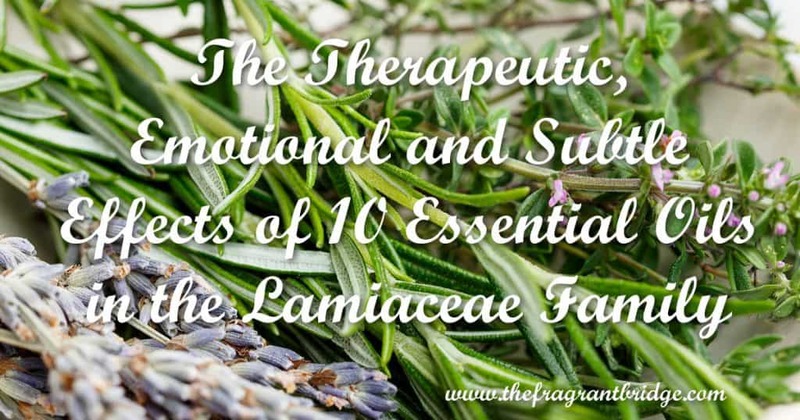 Therapeutic actions: Antiseptic, balsamic, decongestant, eases sore, tired muscles, soothes dry, irritated skin. 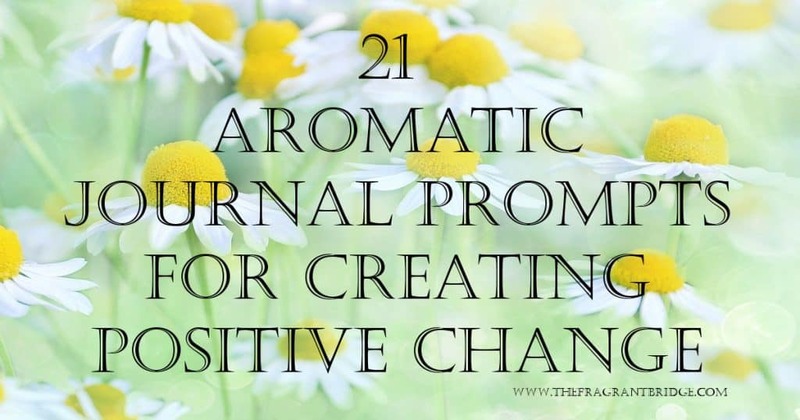 Emotional and Spiritual: Relaxes, calms, focuses and uplifts the mind, helping to alleviate stress and anxiety. Useful in meditation. 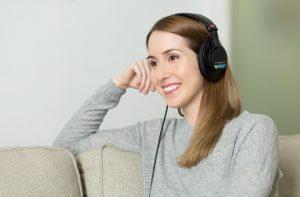 Deborah Eidson writes that amyris anchors the state of openness that promotes new thoughts and allows new ideas to form and encourages the realization that you have the power to create and direct your life and destiny. 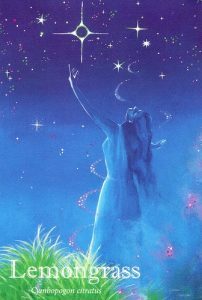 Amyris saturates the aura with creativity, which in turn attracts abundance. The energy of Amyris is very loving and generates self-acceptance, bringing the energy of grace into your life. This loving grace stimulates the ability to laugh at yourself. 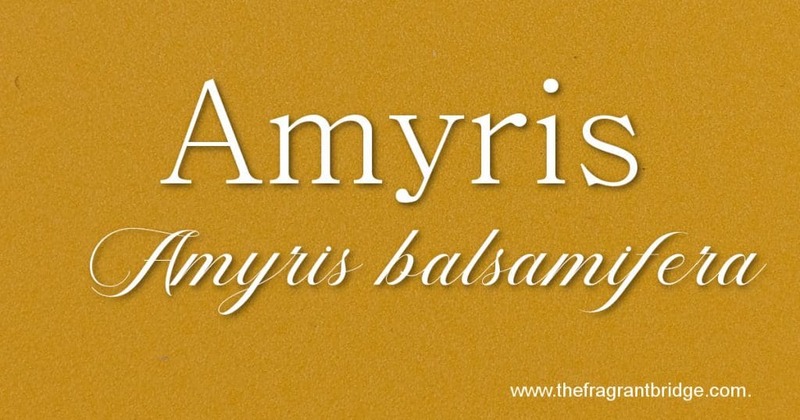 Note: Amyris is often fractionated, some sections are cut with Virginian cedarwood. 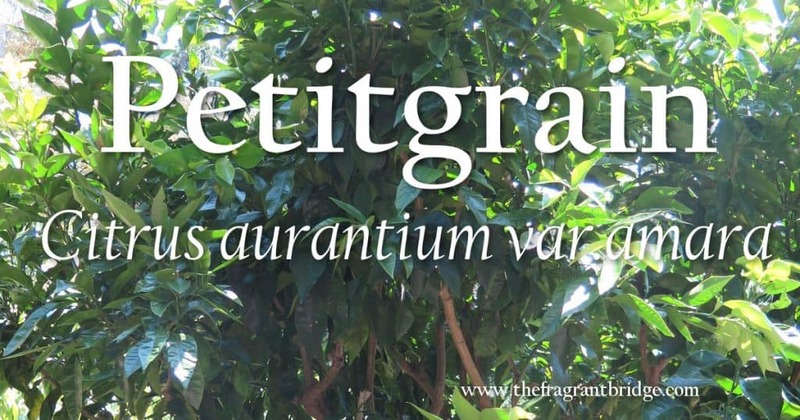 Amyris is also used to adulterate vetiver oil produced in Haiti. 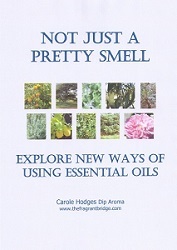 This entry was posted in Essential Oils on August 14, 2018 by Carole Hodges.